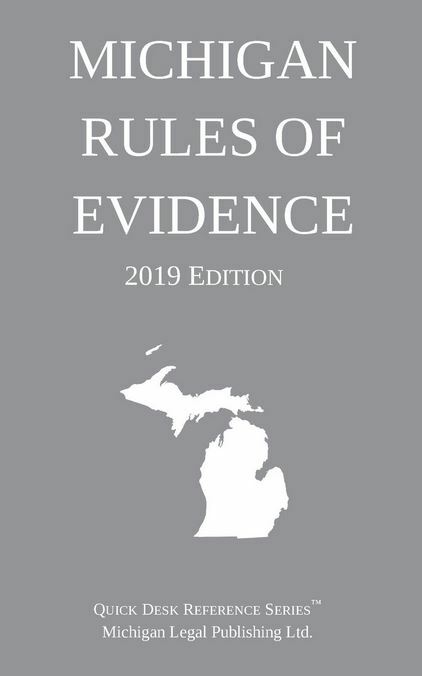 2019 Michigan Rules of Evidence - Michigan Legal Publishing Ltd.
A compact quick reference version of the Michigan Rules of Evidence for the practitioner or student. Includes a table of contents for quick consultation. Updated through January 1, 2019.